In 2017, Bill Ferriter (one of my main edu-influencers) posted a great bit about writing positive notes to kids. I was inspired by this post and I thought it was amazing that Bill was taking a little bit of time every morning to acknowledge the awesome things that his kids were doing. In the comment section of that post, Santo Nicotera, talked about how he and his staff take a few minutes out of every faculty meeting to write notes to kids. They keep track and ensure that every student is recognized over a three month period. After that comment was made, Bill launched a tweet which challenged Principals to incorporate Santo’s practice into their faculty meeting. I tried to find that tweet today but to no avail. In September 2017, we adopted this practice into our staff meetings at St. Mark School. When I introduced the idea to our staff, they were extremely supportive. One staff member said, “Even if only one kid is positively affected by this, then it is worth it.” So, at every staff meeting, we take the first ten minutes to write cards of appreciation to our students. It never gets dropped from the agenda because it is the first order of business on every agenda. We have a spreadsheet with all of our students names and we keep track to ensure that every student will receive one by the end of the school year. Since that time, we have continued our note writing project and we have noticed many positives benefits in terms of relationships with kids and overall school culture. One staff member told me that simply writing a card to a student helped him to positively mend a relationship with a student. Every faculty meeting starts on a positive note (pun intended). This positive tone carries on throughout the meeting. It helps us set our priorities. By being the first order of business on the agenda, it places students as the primary importance. It is so cool to see a student open the card and read it. I have never seen one of the cards in the garbage or left in a locker. Some of our kids have taken upon themselves to write positive notes to other students and to their teachers. When I tell other teachers and administrators about this project, they often say things like, “Every staff should do that.” You know what? They should and I encourage you to start doing it at your school. This post has been percolating for a little while. I thought that I would write a post so that I could organize my thoughts. Last term, I undertook a #geniushour project by allowing my students to decide what they wanted to learn more about. This involved planning a final project which would act as an archive of the learning. It is definitely not about the final project. Having the kids blog about their learning was key! For example, some students took on a green screen film project which, although funny and entertaining, did not turn out how they wanted it to. It was by reading the reflections that I gained insight into the student learning. Reading their blog posts has helped me to understand what my students are learning and what their struggles have been throughout the process. Feedback is essential. I walk around the room and ask questions about the projects that the kids are working on. It is hard for me to give feedback without unintentionally guiding the direction of the project. Students keep asking me, “Is this what you want, Mr. Hatch?” I keep telling them that their project has nothing to do with me…it is about them and their learning. I also encourage students to solicit peer feedback – either in person or by comments on their blogs. Kids are going to get stuck and they are going to fail and get frustrated. This is when it is important to support rather than bail them out. Ask questions…”What do you think you could do now?”, “Is there anything that I could do to help you?”, Is there anyone that you could ask?” It is important to keep the student from giving up. I just keep telling students that failure is learning. Write a blog post about what happened and what you intend to do. Encourage your students to find mentors who can help them. Mentors can be fellow students, staff members, parents or other people in the school community. One of my students was watch a tutorial video on YouTube and ended up sending an email to the developer of the video asking questions – her questions were graciously answered and she was pointed to a place on-line where she could learn more. You have to trust your students and the process. If you have offered the right amount of support, things will come together at the end of the term. If it doesn’t, the student still learned something and they should be encouraged to reflect on that learning. Reflection is essential. For my class, I had them write blog posts so I could track their progress. I found that students were brutally honest in their posts. Here is a sample post that I was reading today from a student who is part of a group working on a role playing video game. I was bubbling with excitement for this student when I read the posts because the reflections previous to this one were about how his group was stuck and was not making very much progress. Progress, so much progress. I don’t think we have ever been as efficient as we were today. Today, we finished off fixing up the controls and the physics. We had full control over our character and we could move him around a 3D plane. It was so trivial and yet it excited all of us so much. All the things we just look over when playing games, we can really appreciate now. It took a lot of work and it wasn’t with out compiler errors, but luckily we got through it. Not only did we finally get those pesky collisions that have been giving us so much trouble out of the way, but we also started working on the camera and finished that as well. We now have our camera working as it follows the player around. Yes, it sounds really trivial, but you have no idea how much work it actually took. I mean, can you tell me what “Vector 3 = 0. Mathf.SIGN” means, because before today I sure didn’t. Overall, I felt really accomplished after today. It feels good to see the outcome of your work doesn’t it. Next up, we have to work on making a model, so that our character doesn’t look like a square. I’m looking forward to that since making your own character is one of the most exciting parts. So, things are looking up for weeks to come. Is this student engaged and motivated in his learning? Is this kid learning skills that will benefit him in his career choice? I can’t believe it has taken me more than 25 years as a teacher to figure out this model for learning. It has been so powerful and it has been incredibly rewarding. My students blow me away every single week by the amount that they are learning and sharing. Don’t be afraid to give up control to your students and let them navigate their own learning. I just spent the last three days at the Category 2 MYP (Middle Years Programme) Head of Schools/Coordinators session as part of a larger IB workshop in lovely Los Angeles. I travelled to LA with 5 of my colleagues from school including another AP as well as some PYP and MYP teachers. Each of us were involved in different sessions. We had lots of time to learn, discuss and take part in some unique learning activities. For me, the best part of a conference is connecting with other educators from all over the Americas. It is interesting to find out how schools are organized and to learn about some of the strategies that are used. It is extremely interesting to hear about the various challenges that administrators are faced with. 1. The IB programme is not an additional thing that you do at your school. It has to be part of the foundation of the school and is an important part of the culture. It should be woven into everything that you do. It gives us a common language to use as we teach our students. This is the same with Catholicity at our school…it is the foundation of our school and it is permeated into everything that we do. 2. It is not about the final product, it is about the learning that happens along the way. I have always believed this but it became particularly evident during this workshop. As an exercise, we looked at a process journal and a personal statement from a student’s MYP personal project and we all decided that this student deserved excellent marks for the learning that she had done. We had not even seen the final product yet! That because, learning isn’t about creating products…it is about demonstrating and being able to articulate the learning and changes that are happening as you work through the project. 4. Changes in a school will not be sustained if they are flash in the pan, one time only. As I stated above, changes should be carried out with a vision and a mission in mind. 5. Educational leaders need to model what they expect of staff and students. For example, if you want your kids to be good learners and represent the IB Learner Profile…that is what you need to be. In the same way, if we want the kids at our school to be good citizens, it is important to model that and, more importantly, correct and redirect learners who are not meeting our expectations. 6. A program in a school cannot be run by one or two people. Yes, there are a few people who are responsible for organizing and will be held accountable but if a program is going to be effective, each staff member must understand their role and how their role fits into the big picture. It was a great conference and it provided me with many things to think about and reflect on. It was also a great way to connect with some staff from our school as well as other educators. It is interesting to hear what my colleagues were learning and how it fits with what I was learning. When I have connected with former students years later, they always remind me of things that happened when I was their teacher/administrator. Most of these things have nothing to do with the Math that I taught them. It was the things that happened that were funny or were out of the ordinary. Some of the memories happened outside of the classroom…during student council activities or on the basketball court. It was the relationships that I had with these kids that was memorable. Sometimes, it was just simply lending an ear or spending some time helping with a tough concept in another course. Sometimes, it was just being a goof…which I am quite good at. For some, it was giving them food when they were hungry. For others, it was time spent playing guitar or sports together. What are you doing to give your kids an awesome experience? Each week at our school, we have a homeroom challenge. It started off in September as a trivia question and evolved into identifying songs which were played over the intercom. Each homeroom class was challenged to submit an answer and the homeroom challenge trophy was awarded. In October, each week had a dress up component…wearing pink, Canadian pride, sports jerseys, etc. Some of these challenges were introduced through our school Twitter feed…as a way of getting our school community to start looking at Twitter as a way to receive important information. As a result, students and staff are looking to Twitter for the homeroom challenge. As a homeroom, you must read this blog post and, together with your class, submit a reply (right on the blog site). We will acknowledge a homeroom in PYP and one in MYP to as the “winners”. To leave a reply, scroll to the bottom of the post and enter it in that space…you may need to submit an email address. Remember, this reply is public on the internet and can be seen by anyone in the world. If you want to include a picture or other media, you will have to provide the link. Please remember digital citizenship and FOIPP. The reason that we originally chose this kind of challenge was to expose our staff and students to a blog site and get them to see how easy it is to post a reply. Also, we wanted our students to talk about what it meant to be principled. We chose two “winners” for the challenge but that is not the important part. What is important is that we used collaboration to create a page which does a great job of explaining the IB Learner Profile attribute of “principled”. Our school community has provided examples which will be easy for other students to relate to because THEY WERE CREATED BY KIDS…with the help of their teachers. We were all blown away with the quality of the replies that we got on the blog post. Great things happen as a result of collaboration. The replies submitted by each class on the blog page are a by-product of a rich conversation which happened in that room around the attribute of Principled. Kids need teachers to guide them in the areas of citizenship and digital citizenship. Blogging is a powerful way to share information and have a “conversation”. Since replies were posted in a public forum…they were extremely well crafted. It doesn’t matter if you are the “winner” as long as you learn and grow as a result of an activity/challenge. 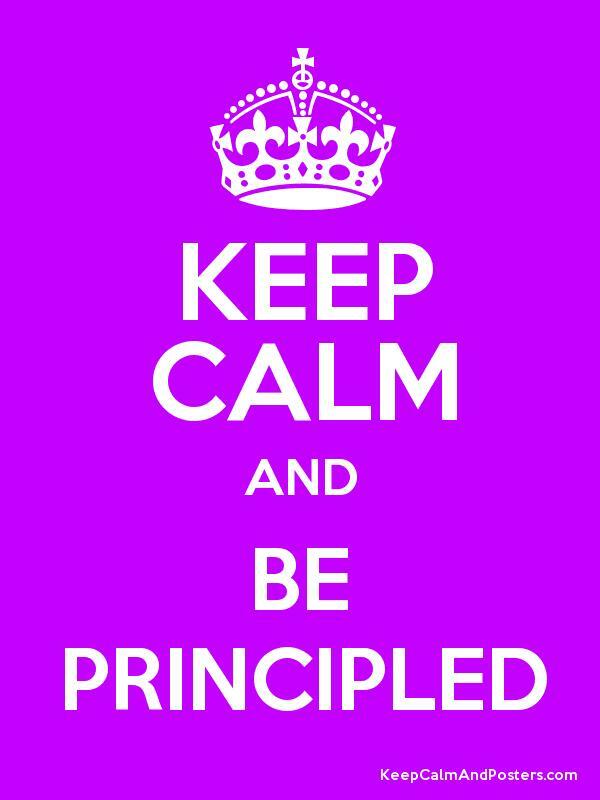 What does it mean to be Principled? This is a cross post from our school’s blog site. The IB Learner Profile attribute for this month is Principled. In September, we focused on the attribute of Risk-taker and in October, we organized our activities and conversations around the attribute of Open-Minded. These two attributes are pretty self explanatory and students and staff could easily relate to them. But what does this mean for our school and our students? How do we demonstrate that we are principled learners? 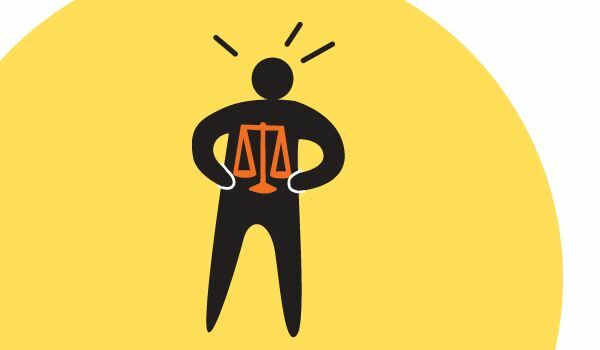 When is it important to be principled? Are there people that you admire because they are principled? Why is this an important and essential attribute to possess? Please share your thoughts. On our school site, we have asked each of our homerooms to submit a reply. If you have the time, could you please submit a reply below? Author Derek HatchPosted on November 5, 2014 Categories Best Practices, Connections, IBLeave a comment on What does it mean to be Principled?